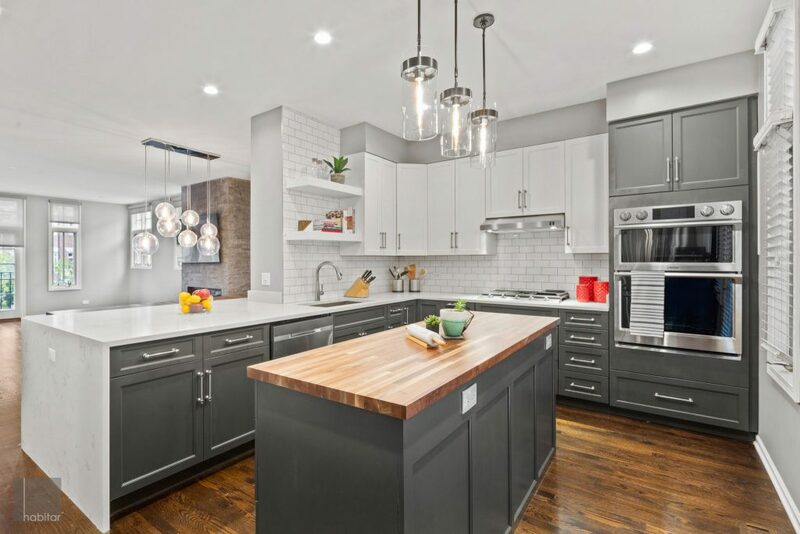 If you are looking to update your kitchen then you should consider the most popular design trends in Chicago right now. The kitchen is becoming more and more the focal point of every home. It’s where people spend time together. With this in mind, you want your kitchen to be a place where people flock to. 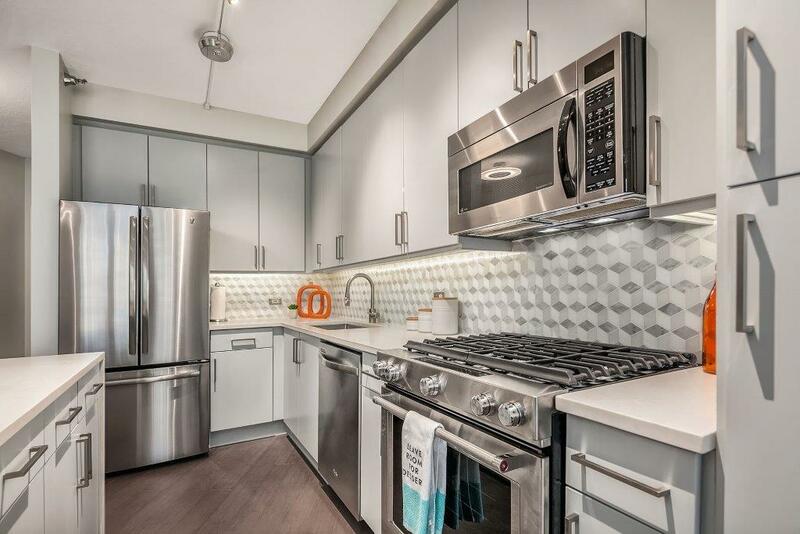 Here are the most popular kitchen design trends in Chicago right now. 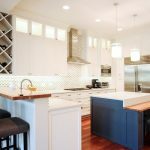 The days of white kitchen cabinets have been with us for a long time now. It may be something that you’ve toyed with over the years and never quite had the boldness to do. But it’s here right now. 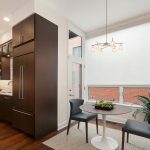 One of the top kitchen design trends in Chicago is dark kitchen cabinets. They add a depth to any kitchen, leaving it looking classy. Think navy blue, green and black and you get the idea. 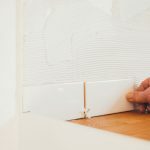 Connect this with white work surfaces and you will have a kitchen that is bang on trend – and probably the envy of the neighbors. And a quartz countertop might be just the thing you need to partner with your new dark kitchen cabinets. 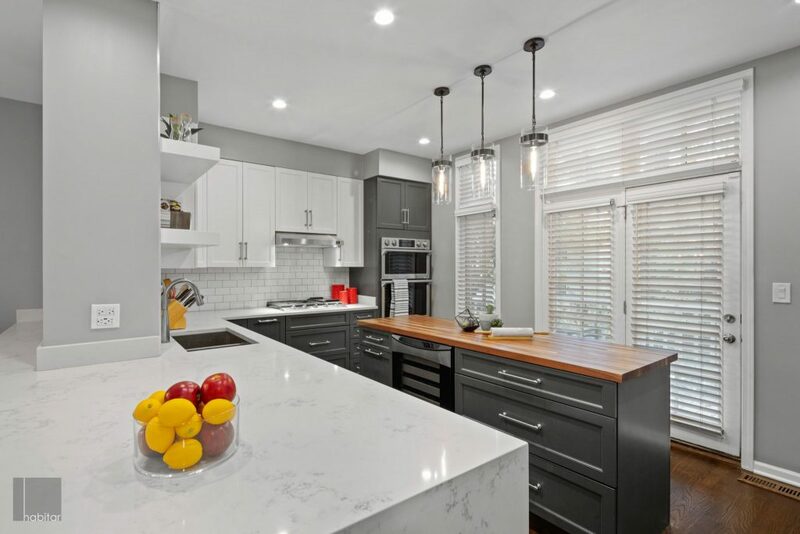 Granite has been the go-to material for high quality countertops for a number of years now. Move over granite, a new king is in town! All in all, there are some fantastic reasons to choose quartz. It will help to transform your kitchen from the average to the extraordinary. 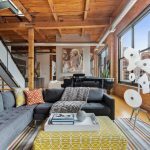 If you want to be right up with the kitchen trends in Chicago right now, then quartz is the answer. As people walk into your kitchen what catches their eye? Could it be the brand-new coffee machine on the counter? Or is it the kitchen table, filled with food and drink? I guess the answer to this wouldn’t normally be the backsplash. 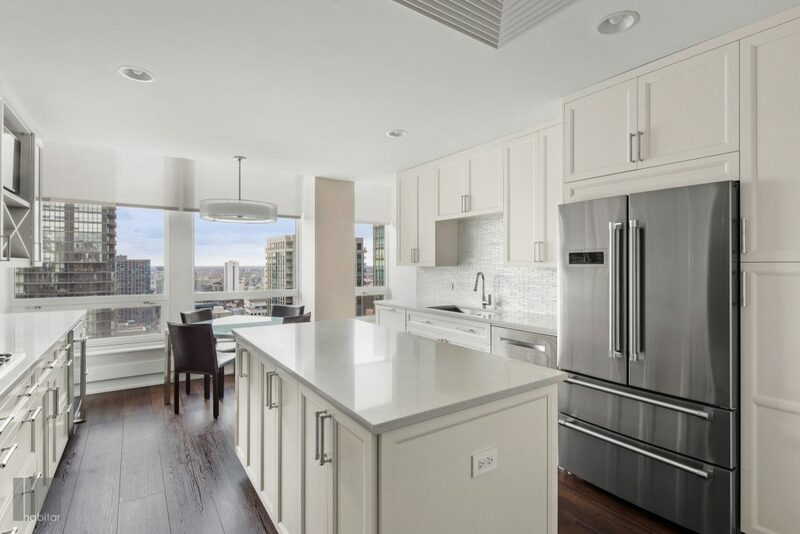 But as one of the current top design trends for kitchens in Chicago it should be. Counter to ceiling backsplashes are all the rage. When done right they look like a million dollars. Selecting the right color and texture of your tiles is the main thing here. 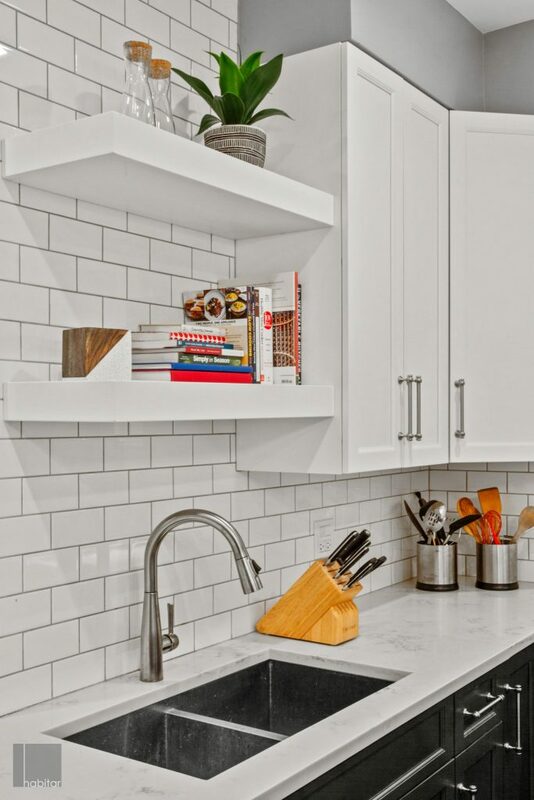 Get this right and your backsplash can be the focal point of your kitchen – making a stunning statement. We have always tended to hide away all of the kitchen items we’ve collected over the years. It seems odd to think that we take time and effort to carefully select something that looks beautiful and feels great. Then we hide it away behind the closed door of a kitchen cabinet. 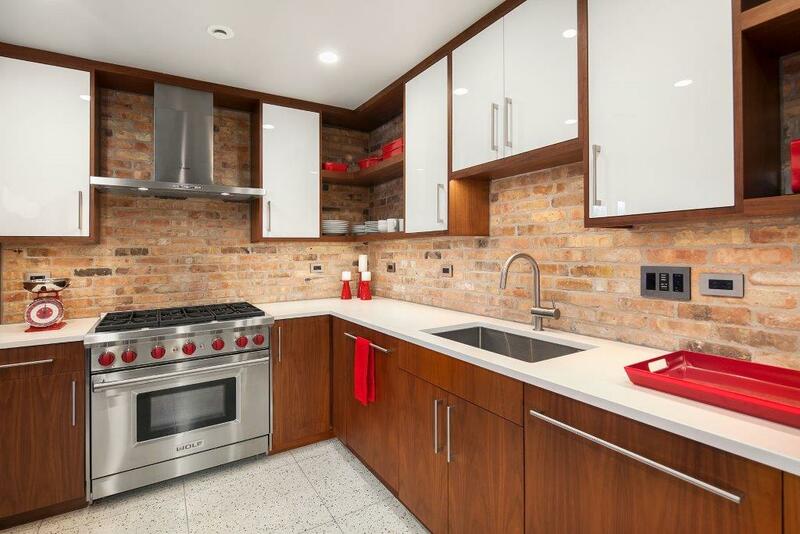 One of the hottest trends right now in Chicago kitchen design bucks that train of thought. 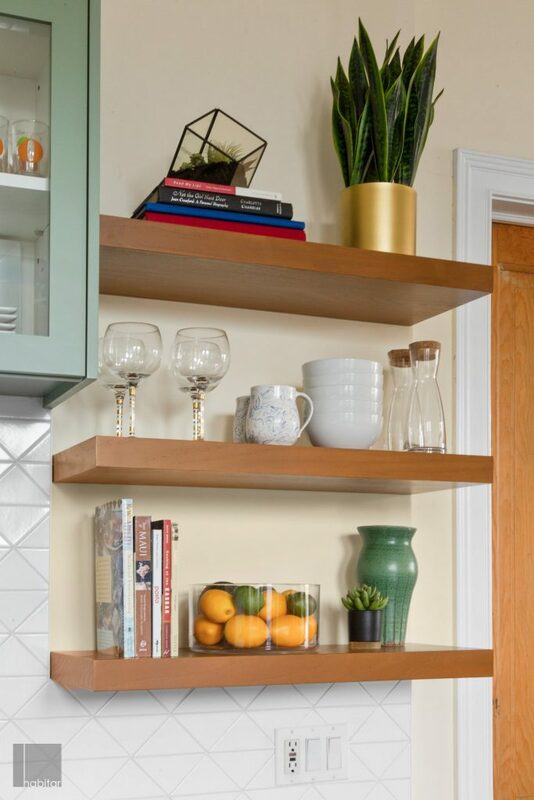 Open shelving can help you to showcase those beautiful items you’ve amassed over the years. A mix of open shelving and closed doors means you can have that fine balance between openness and tidiness. The best of both worlds! The smart kitchen is on the way. This ranges from the refrigerator that knows what you have put inside it (best before dates and all) to the washing machine that has clothes laundered just before you get home from work. Technology is changing the way we live our lives. It has already gone from the office to the living room. The kitchen will see the next revolution in smart living. Induction cookers are changing the way we make our meals and use energy. Expect to see these hit the mass market very soon, meaning they become more affordable. 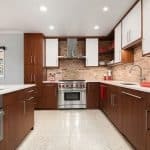 If you want the most efficient way of cooking your meals, then this is a popular kitchen trend in Chicago you have to explore! Space is limited in many kitchens. With this in mind, you should look to be as effective as possible. Open shelving (as discussed earlier) gives you some flexibility of space that closed cabinet doors just don’t. But there is more to it than this. Think beyond the traditional floor and wall cabinets. 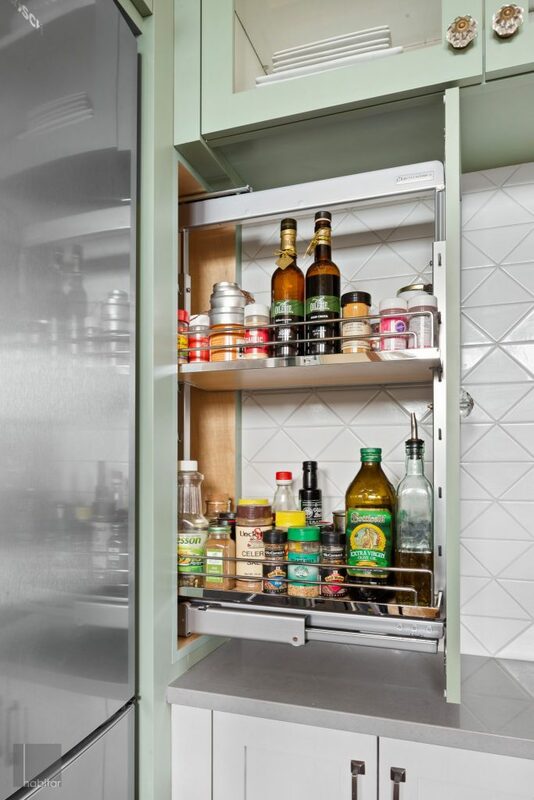 Floor to ceiling can open up a world of storage possibilities. Wall space is so often underused. Don’t fall into that trap. Attach storage to the walls and make the best use of space possible. 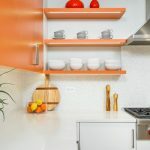 Should You Choose Open Shelving in a Kitchen Design?